Have you ever wanted to quickly find every screen shot you have on a Mac? With a little-known search trick, you can easily list every single screen shot file on Mac OS. Going further, you can also search by names in screen shots, types, and dates as well, all by using the Mac Finder search or Spotlight search functions with a particular search parameter. This is a great trick if you have screenshots tucked all over the place on the Mac and buried throughout various folders and directories. Sure, by default screenshots will appear on the user Desktop, but that can be changed and over time they are likely to be moved around as other files are anyway, which is when this search tip becomes particularly handy. You can activate the screen shot search from either Spotlight or the Finder search, however the Finder search is likely more useful since you will see more data beyond the small search query return limit in Spotlight. We’ll show you who to use either method for finding all screenshots on a Mac. Note the screen shot search syntax must appear exactly as “kMDItemIsScreenCapture:1”, including exact casing. 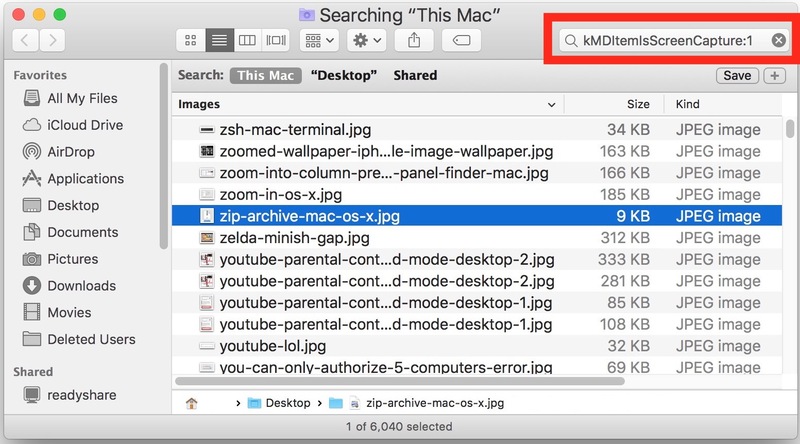 You can also use “kMDItemIsScreenCapture:1” as a search parameter in Spotlight on the Mac. Replacing “ExampleName” with the term within file names you wish to search screenshot file types for. 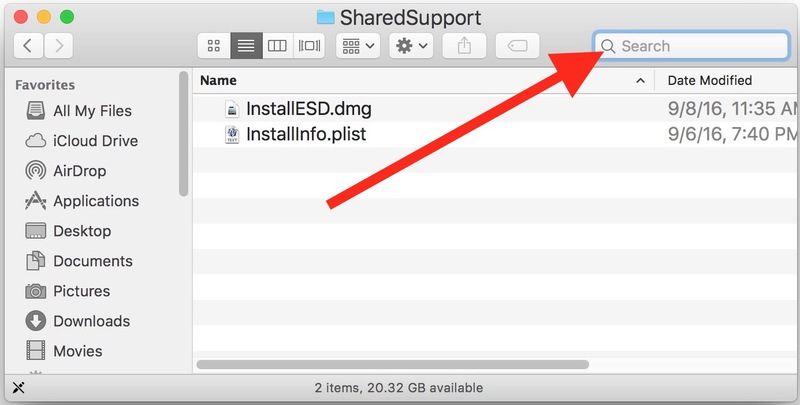 You can also use the “kind: jpeg” or “kind: png” if you want to further narrow down the file format, which can be helpful if you converted files yourself or if you changed the screenshot image file format on the Mac at some point. There are many other interesting Spotlight search operators to use on the Mac as well, but this one is particularly useful to those of us who have and maintain many screen shots for whatever reason. 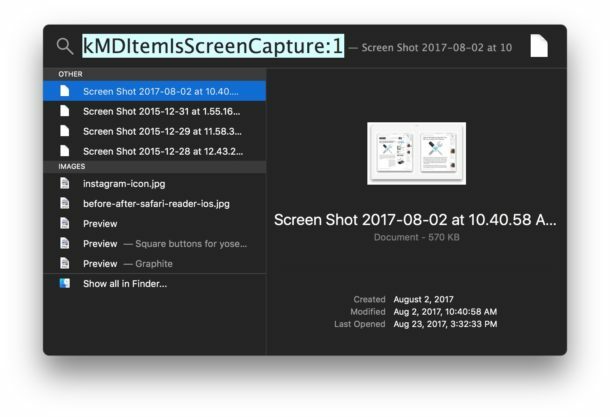 By the way, if you find yourself using this search parameter often to narrow down screenshots on your Mac, you might want to save the search as a smart folder so that contents of screen shot files can be easily retrieved at any time, a bit like how the iOS Photos Screenshots photo album works. The smart folder trick can make it so changing where screenshots are saved on the Mac is less important, though if you don’t want them cluttering a desktop you may still wish to do so. 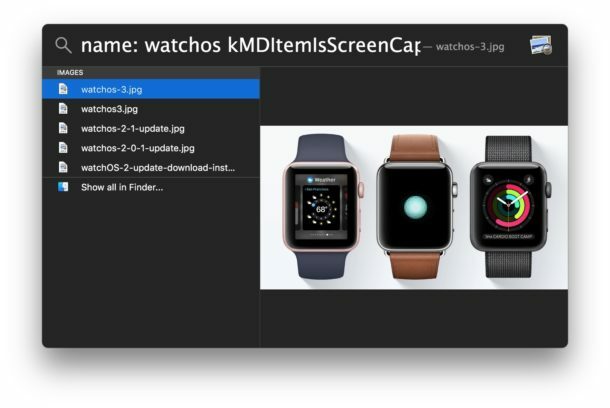 The syntax “kMDItemIsScreenCapture:1” is a bit complex and not exactly easy to remember, but perhaps a future version of MacOS and spotlight will add a “kind: screenshot” parameter as a search function, which currently does not exist. In the meantime, try to remember “kMDItemIsScreenCapture:1” instead, or save the search and reference it when needed. This great screenshot search trick was pointed out on Twitter by @jnadeau, so cheers to them for the find! The problem with kMDItemIsScreenCapture:1 is that it also brings up PNG files, at least on my computer. The problem with “kMDItemIsScreenCapture:1” is that it also brings up PNG files, at least on my computer. A brilliant find! Tremendously helpful, thank you. Saving the search as a Smart Folder adds the final touch. I found items that I had been seeking previously and others I had forgotten I even had. I opened Spotlight, entered kMDItemIsScreenCapture:1, and guess what happened? Nothing. Then perhaps you don’t have any screen capture files. I only have a couple, because I usually send my screen captures to the clipboard instead. You’ll probably get better results if you create one and try again. You can also do this at the command line with ‘mdfind “kMDItemIsScreenCapture:1” ‘. Apple provides the mdlist and mdfind commands which are very useful if you’re interested in working with file metadata. Thanks for this! So helpful for organising my desktop at work and at home! All Screenshots you take’ll pop up like a charm. Drag and drop them all the trash – and delete them. Presumably the screenshot function attaches metadata extended attributes (in this case: kMDItemIsScreenCapture) to the screenshot file to define it as such. One way to confirm/test that theory would be to duplicate a screenshot then strip the extended attributes from it and see if it would be still identified as a screenshot. My guess is it wouldn’t be, once you remove that meta data it wouldn’t know it’s any different from another image file.